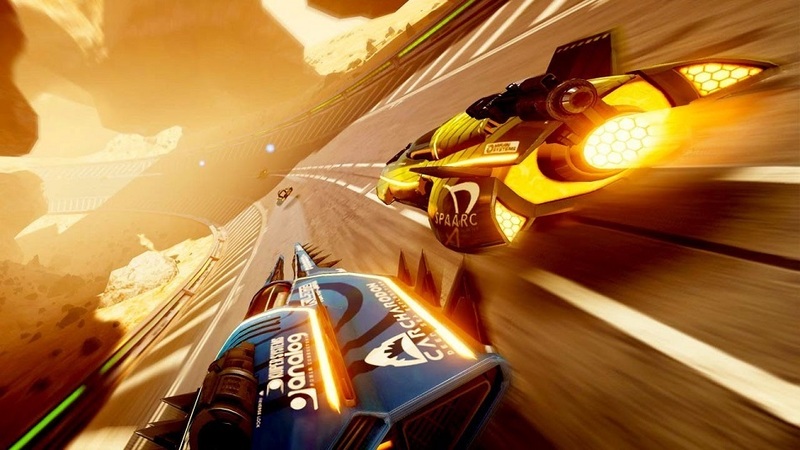 It’s been quite a while since Nintendo did anything with F-Zero, but Shin’en Multimedia has stepped in to try and fill that gap with Fast RMX — although I think it has more in common with WipeOut. The game takes its name seriously since it’s almost too fast to keep up with at times. That said, it controls steadily and offers a good variety of stages and vehicles. One of the early tracks is dark and rainy, which is absolutely beautiful, especially on the standalone Switch screen. While it’s hard to say what kind of staying power Fast RMX has, it puts a good foot forward in offering something else to do with the system, and it’s easy to hold local or online multiplayer races. Verdict: A solid, speedy effort where your mileage may vary. It’s truly surprising that Ubisoft’s solitary launch game for the Switch is Just Dance 2017, as the company usually opts to drop a ton of releases onto new systems. While this title seems fully-featured, it’s also the least welcoming of the launch titles for newcomers. 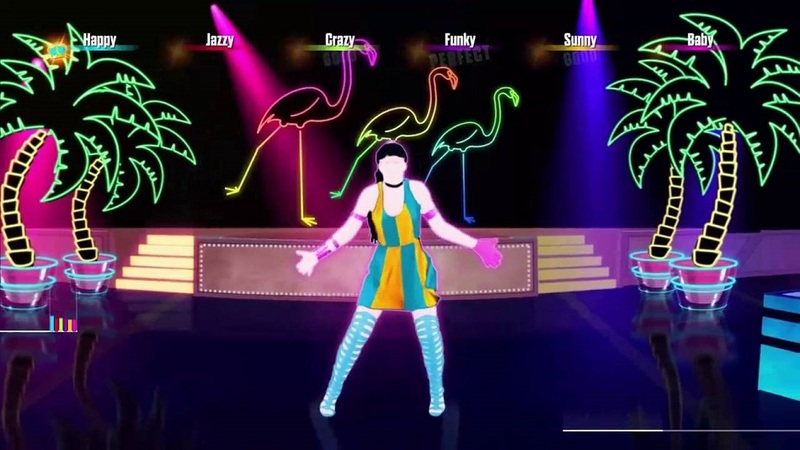 Just Dance tosses players in headfirst with no tips or suggestions on how to control things. Using the joycons to move my hands around and dance based on the actions of the character on-screen just didn’t come intuitively for me. In terms of scoring, many of the motions felt arbitrary in their success rates, there wasn’t an obvious tutorial for learning how to improve my performance. I bounced off this one fairly quickly and don’t have much desire to return. Verdict: Turn the beat around, I want off this ride. I don’t have a long-standing history with Bomberman, but I do have some fond memories of playing Super Bomberman multiplayer on SNES. It wasn’t anything amazing, but for someone who didn’t do a lot of two-player gaming back in the day, it was a standout experience. 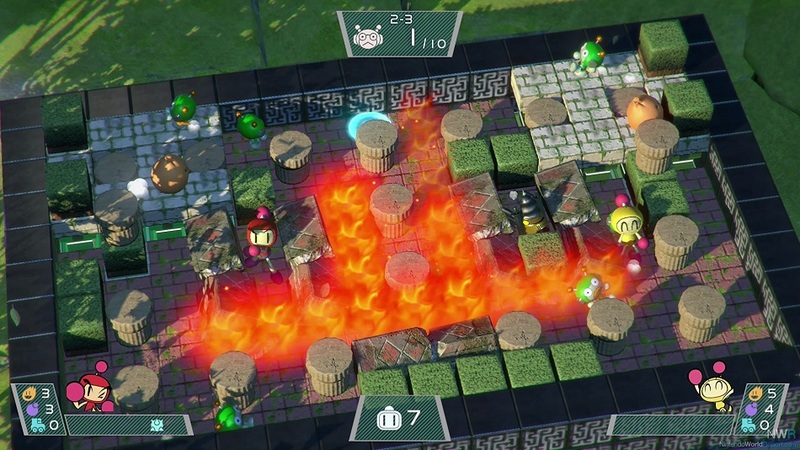 Fast forward to 2017, and Konami’s new release of Super Bomberman R feels very much like how I remember the SNES game. Almost too much like it. Yes, the title offers both local and online play, but the old-school feeling it exudes is no longer special. There are plenty of other games that capture multi with a lot more variety than tossing bombs and walking around small maps, so this new release felt hollow. The execution is solid and the game doesn’t have any glaring issues, but it left me with an understanding of why this series has been dormant for so long — the developers appear to have no new ideas. The nostalgia factor can only carry a game so far, so this one barely gets out of the starting gate. Verdict: My memories of this title were better than revisiting it. 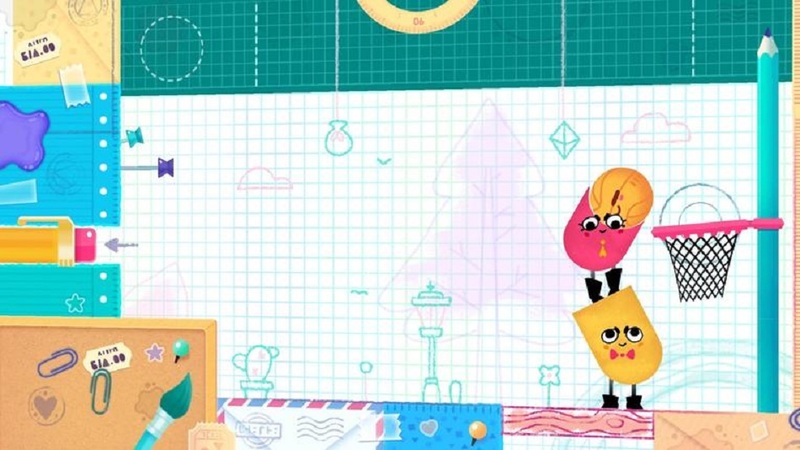 Snipperclips was a game I’d initially dismissed because the demo I watched online put me off. While playable solo, this puzzler was clearly meant to be handled by two people in co-op, and the people in the video were clearly getting annoyed with one another as they tried to solve its stages. It just made the whole thing seem rather unappealing. However, upon trying the trial version with my wife, the frustration was nowhere near as bad as I’d expected. 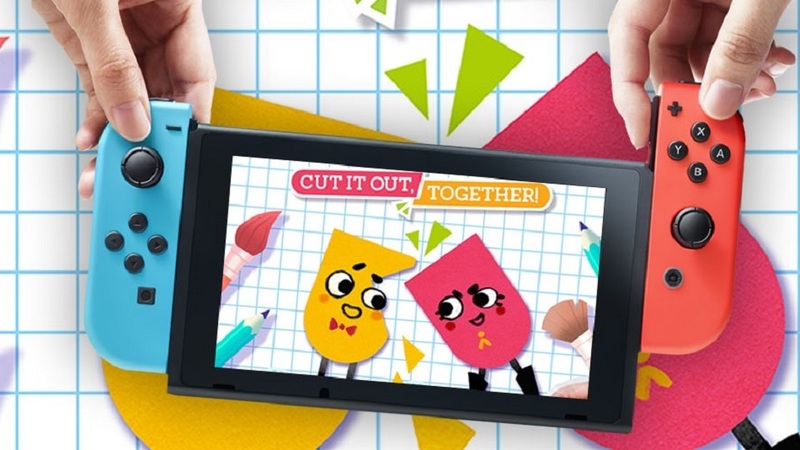 The point of Snipperclips is for two characters to actively work together to complete various puzzle stages. These characters cut into by one another by overlapping and cutting out chunks, or drilling into each other in order to take the proper shape needed for each puzzle. One early area needs a player to hollow out the top of the other’s character so that a basketball can be leveraged into place and then tossed into a net after jumping off the other’s back. On another stage, one character has to move over the other in order to cut it into a narrow shape needed to press a button recessed into the wall. It is easy to grasp what needs to be done, but a little more difficult to work together to implement the obvious solution. While best in short bursts, it’s actually been a fantastic cooperative experience. Verdict: A fantastic two-player experience that isn’t cut out for solo play. While by no means a comprehensive rundown, this snapshot of a few launch games shows there are plenty of other options available besides Zelda. There are other games out now that I didn’t cover here, and there’s a good deal more on the way — things like Xenoblade 2, Splatoon 2, Skyrim, Super Mario Odyssey, and the Deluxe version of Mario Kart 8, along with a flood of imminent indie titles. It won’t be long before there should be little something for everyone on the Switch. 400GB from something the side of a large fingernail. Bonkers. The mentalists over at SanDisk have created this little titan, and best of all, its going to be compatible with the Nintendo Switch! Some were notably annoyed by the Switch only shipping with 32GB of internal storage, and the only form of expansion being through the Micro SD format. Thankfully, with technology hitting new levels of silly by the day, Micro SD no longer means small storage. How has the online experience been for you? Still Nintendo-y or have they finally modernized it? Also, good to have you back! I did some online play with Fast RMX and Bomberman with no issues. That said, I’ve had some connection issues to the eShop at times, but it seems to get fixed.